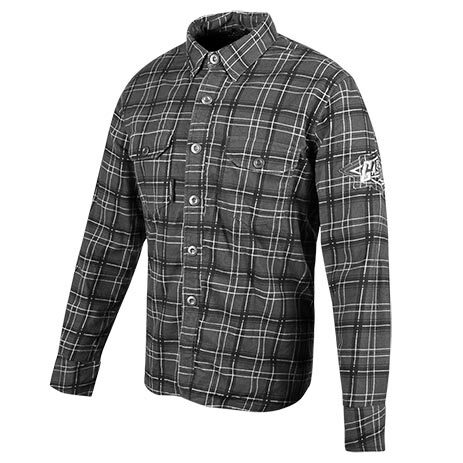 The Hogtown armoured motorcycle shirt from Joe Rocket Canada® features a cotton-poly blend shell with hidden main zipper opening. It comes equipped with removable Vault™ C.E. approved shoulder, elbow and spine protectors with the shoulders and elbows reinforced with Dupont Kevlar fiber thread. Belt loops are included for pant attachment so that the shirt doesn’t ride up.